First Legacy event of the new era! Woot! 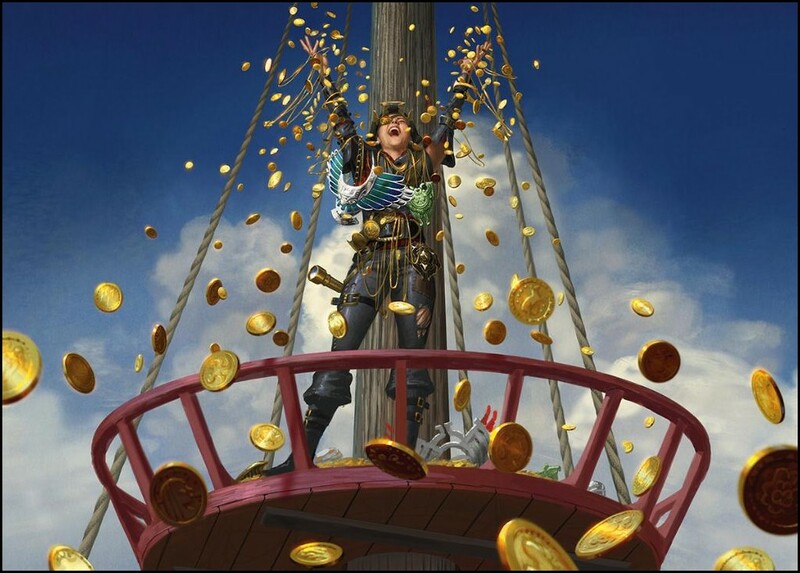 So far the new ban list seems to hold, we've got successful control decks, we've got some combo-ish decks, we even had some (fair) reanimator! Let's dive into these lists, shall we? First of all, Humans won the event, as they do, thanks to a returning Golden_Lin. 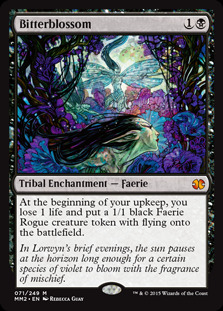 It doesn't say much about the new meta, really, since Humans are always most likely to win any given event, it's just the way it is in Tribal at this point, and there's nothing you can do about that, because it's not one or two cards helping them; it's just about one hundred, give or take. This build was just good old white weenie, trusty and lethal in the hands of a good pilot like Lin. 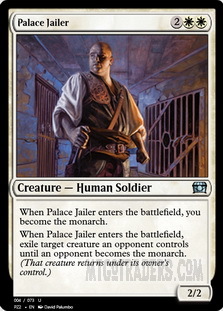 By the way, Palace Jailer is outstanding. The monarch mechanic is severely underrated. 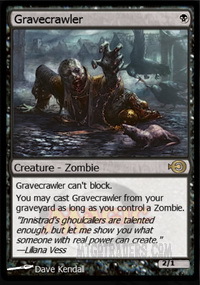 Runner-up was another linear aggro, but one that wasn't seen at the top in a while: Zombie. 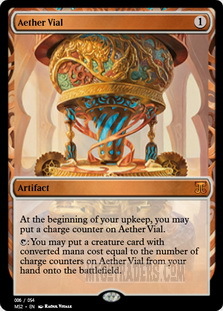 Newcomer under_a is playing them at their fastest, Aether Vial and all. 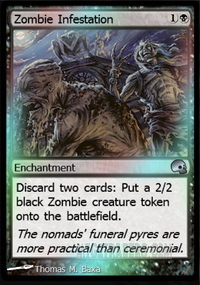 Basically, every single Zombie in the deck is either a lord or a one-drop. 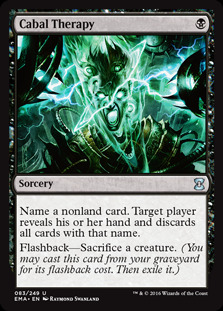 My own take on Zombie is more byzantine, but I really like this brew because there's so many tricks in there, different points of attack, so to speak. 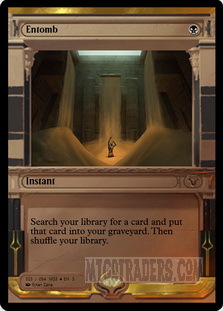 It's also a test of Entomb in the new environment; here, I use it to dump Vengeful Pharaoh on the graveyard, or to essentially tutor up one Gravecrawler . Strong but fair, I think. 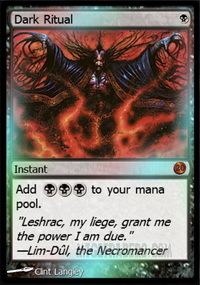 Running 24 tribal creatures at the moment, I have the chance to make room for something else, most likely a couple copies of (Liliana, Untouched by Death). This week's most original take on a tribe goes to Generalissimo's Pox Constructs. But you can watch all their games with Generalissimo's live comments on the revived Show and Tell section below. Recommended. 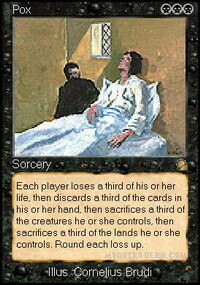 And speaking of testing the (safer) waters, here's what "fast" reanimator looks like in the new Legacy world. Of course it's specialist Nagarjuna trying it out, using Avatar as a tribal shell. 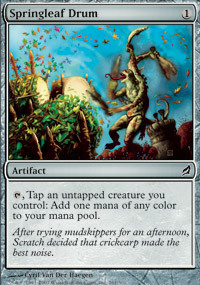 To make sure Victimize or Recurring Nightmare are online by turn 3, you need a creature already on the board, and that's where Bitterblossom and the synergistic Zombie Infestation come in. This is probably going to work better in different builds, like maybe with (The Ur-Dragon)'s other tribe. But it seems fair enough to me. 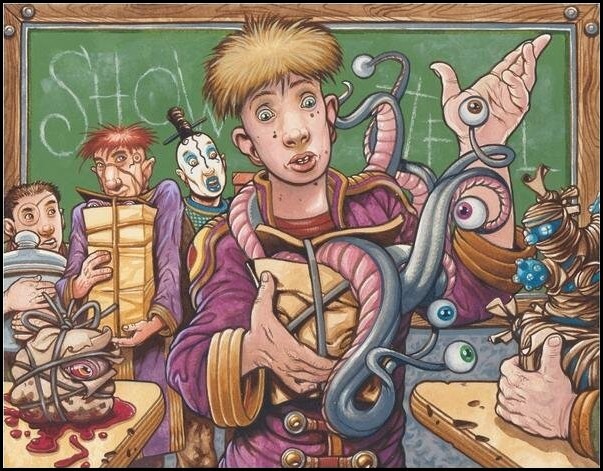 Show and Tell is back! Generalissimo kindly made an audio-commented video for his Constructs, deck tech plus all games. And here's a mini-discussion about the deck with its creator. Kumagoro: How would you describe the deck? 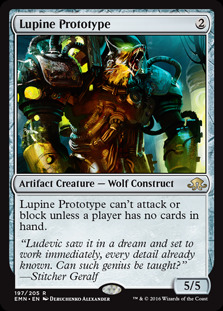 Generalissimo: I attempted to replicate an Affinity deck's ability to rapidly play out its whole hand and combine it with recursive creatures to break the symmetry of Pox effects and unlock the awesome power of Lupine Prototype in this extremely low mana-curve Construct deck. 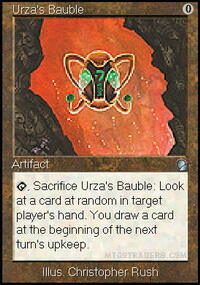 Kumagoro: Why not Mishra's Bauble over Urza's Bauble ? 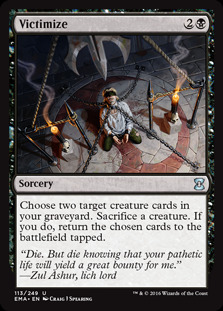 (I think I'd just like the art better). 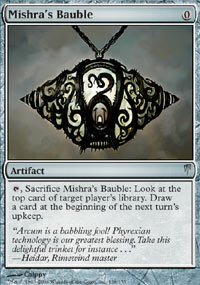 Generalissimo: The main reason is that Mishra's Bauble is, like, 30 times more expensive than Urza's. 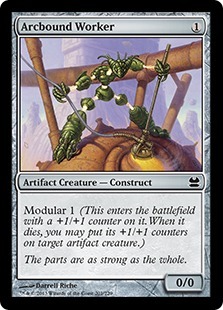 I'd run some kind of split of the two if I could afford it, but I think Urza's might actually be the slightly superior one in my deck; it works better with Cabal Therapy and I don't have the fetch lands to combine with Mishra's for a pseudo-scry. Kumagoro: Did you consider (Sparring Construct)? Generalissimo: I did, but it's worse than Arcbound Worker and I don't think the deck wants more than four of that effect. Kumagoro: You mean Arcbound Worker is better because it can move more than one counter if it already received one? 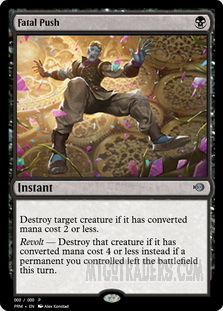 On the other hand, Sparring Construct can put its counter on non-artifact creatures; though in your deck, that means just Liliana's zombie, I think. Generalissimo: Oh, I thought that I didn't have any non-artifact creatures for Sparring Construct because I was only thinking of Liliana as a planeswalker. Still, the modular makes the Arcbound Workers better in multiples and there are three of them, whereas there's only the one Liliana in Sparring Construct's favour. Kumagoro: Is it fair to say your next move here is -1 Paradise Mantle , +1 Cursed Scroll ? It seems like the Mantle is bad with Springleaf Drum , while the Scroll is killer in your build, even if it's not something you want in multiples. Generalissimo: Yeah, Mantle really sucked, I'm definitely ditching that. I'm also considering going down to just 1 Pox and maybe removing a land. 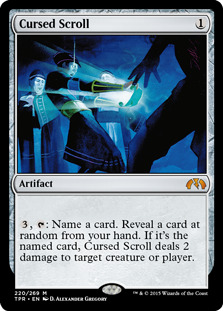 An extra Cursed Scroll would be a good addition but I'm also thinking about a couple of Fatal Push es or Dark Ritual s or possibly some kind of equipment to make my 1/1s a little less pathetic. The Repopulation Award: Some tribes get played only once (to get the New Kids on the Block Award) and then forgotten. Never again! 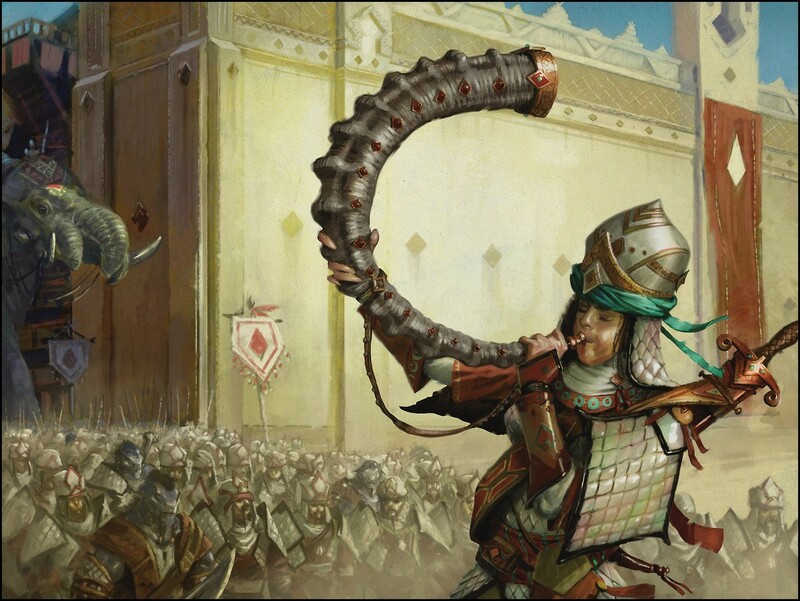 Register one of the following tribes three times in different events, then play all rounds of those events with them, and you'll get a 3-tix certificate from MTGO Traders. The list of these tribes, established May 5, 2017, is as follows: Antelope, Goat, Homarid, Incarnation, Licid, Monger, Nightstalker, Orgg, Ouphe, Rabbit, Salamander, Slith. Already cleared: Atog, Crocodile, Jackal, Leech, Manticore, Metathran, Moonfolk, Octopus, Ox, Processor, Siren.